How long does Hart for Children exist? 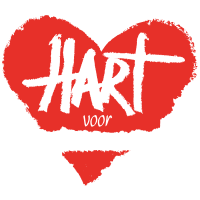 Hart voor Kinderen was founded on 2 June 2008. Does Heart for Children only attract orphan children? No, Hart voor Kinderen not only picks up children of which one or two parents have died, but also children who have left, abused and abused. In short, all vulnerable children. Is it not customary in countries such as South Africa for children to be placed with family members when their parents die? Yes, in principle yes, but unfortunately that family is often so poor that they can not take care of more children. Grannies are often asked to take care of the smallest children at an advanced age. The effect of this is that children are often left to their fate and have to take care of themselves. What happens if a child still has brothers and sisters when the parents die? Hart voor Kinderen strives to place as many brothers and sisters as possible in the same foster family. How many children are placed in a foster family? That depends on the capacity of the mother and / or how sick the children are. As a rule, 4 to 6 children. Are there sufficient good foster mothers available? It is a huge job and responsibility to find good foster mothers / parents. We do this together with our partner organizations that also provide the screening. Nursing mothers are also intensively trained and supervised by us. Fortunately, we currently have enough foster mothers available. How long does Hart for Children provide for the livelihood of the children? Before the children are placed, we set aside enough money to guarantee the maintenance for at least 1 year. We do this to prevent the children from getting back on the streets immediately if we are no longer able to send donations. Thanks to the continuous income from new donors, we do not yet need to rely on these reserves. We strive to keep it that way. Does Hart for Children have a quality mark? The CBF (Central Bureau of Fundraising) ensures that each affiliated organization provides correct and adequate information to (potential) lenders about the financial policy pursued. How does Hart for Children use my contribution? Donations for a chosen purpose are also spent on that goal. When the target amount has been achieved, the excess is spent on another (free) goal, where that is most needed. Why is it that your short account number is in advertisements, but if I pay via the website it ends up in a different account?  For administrative reasons we use a different account number for transactions that go through the website, namely NL92INGB0006676717. It is therefore correct that this is a different account number. At Hart voor Kinderen we see a complaint as a signal to improve our work, both in the Netherlands and abroad. That's why we like to hear it if you do not like something. Are you not satisfied with our activities, communication or fundraising? Call 035-7721104 or send a letter to: Hart voor Kinderen - Postbus 260 - 1250 AD Laren. All complaints received by Hart voor Kinderen will be treated confidentially. If you've still got questions, please don't hesitate to get in touch!